Web-based Git repository provider Gitlab is making a play to scoop up users of competing open source software code repository player Github after reports that Microsoft has struck a deal to acquire the code repository operator. 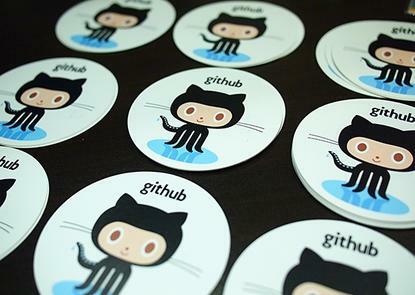 Media outlet Bloomberg reported early on 4 June that Microsoft has agreed to acquire Github, the popular and widely-used web-based version control hosting service, with an official announcement expected to emerge as early as this week. The Bloomberg report came just days after Business Insider reported that Microsoft had recently held talks to buy Github. Now, although the rumoured acquisition is yet to be confirmed by either party, fellow web-based version control hosting service provider Gitlab appears to be ramping up its efforts to lure Github users who might not be entirely happy with Microsoft’s reported acquisition of the company. 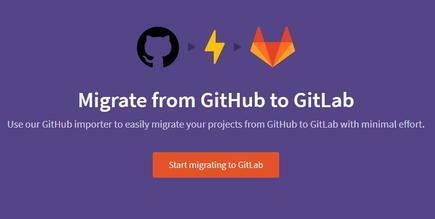 On its homepage, Gitlab has posted a message that reads: “Migrate from GitHub to GitLab”. This is accompanied by a link to the company’s Github importer to “easily migrate your projects from Github to Gitlab with minimal effort”. The reports that Microsoft has signed a deal to acquire Github come just weeks after the technology giant said the company had struck a new deal with the Git repository operator. In early May, Microsoft revealed a new partnership with Github that was intended to bring the power of Azure DevOps services to Github users. “Today, we released the integration of Visual Studio App Centre and Github, which provides Github developers building mobile apps for iOS, Android, Windows, and macOS devices to seamlessly automate DevOps processes right from within the Github experience,” Microsoft said in a statement at the time. As noted by Bloomberg, Microsoft is already a big user of Github, along with other tech giants such as Google. Many tech companies and individual developers use the platform to store and share certain code, and collaborate. While Github was founded in 2008, Gitlab came later, with the repository being launched in 2011. According to its website, Gitlab – an open source project – is used by more than 100,000 organisations and has a community of more than 2,000 people who contributed code. Github, on the other hand, claims to currently support a community of more than 27 million people who share and work together to build software.